I still contend the Kings are better served in purple and gold, but Dallas Kirkpatrick has a pretty solid black and silver set here inspired by the past. 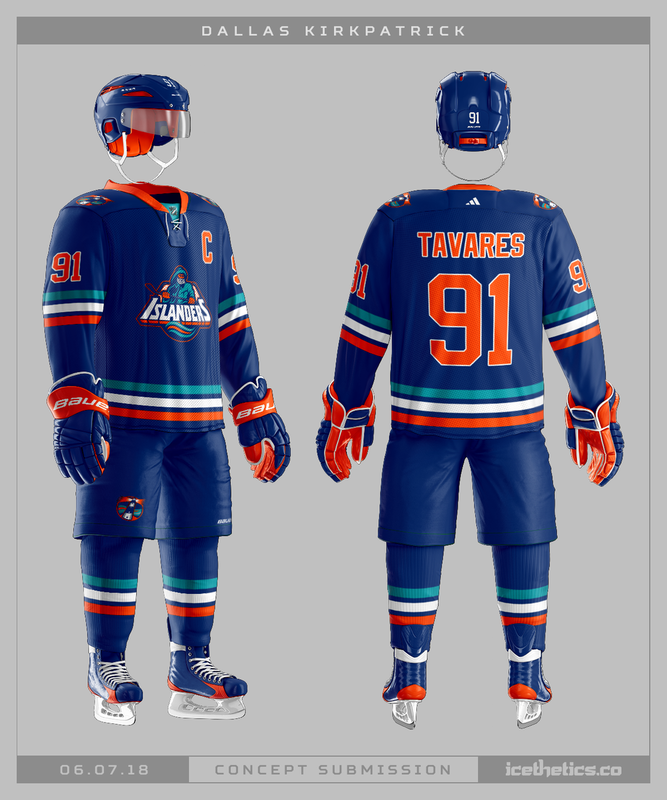 Dallas Kirkpatrick offers up a new home/road/third uniform set for the New York Islanders. This week, Seattle Saturday brings us a reimagining of the Metropolitans from Dallas Kirkpatrick. Makes great use of the Seahawks' colors if nothing else. Among the inaugural batch of Adidas Adizero NHL jerseys, there were certainly a couple of glaring blunders — the worst being the Nashville Predators. So here today is Dallas Kirkpatrick to take a stab at fixing them — now that we're into the second round of the playoffs. The Battle of Pennsylvania will be taken outside again next season. So who else thinks it's time to get the Battle of Alberta in the elements as well? 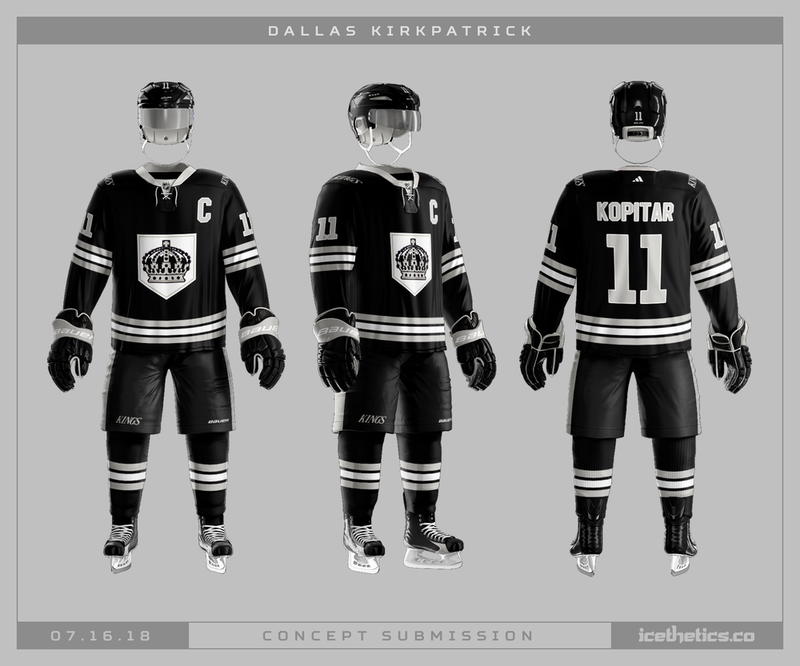 Dallas Kirkpatrick offers up a couple of uniforms.